Oh it's been pitiful around this section of Blogland. School activities and to-do lists have run amok; our days are overflowing, and I am not around as much as I would like. Posts were planned and scrapped. Posts were planned, but I fell asleep before I could type the words. Man. Anyway, it looks like I'll have several more days of sparseness at this space. I'm not even participating in Yarn Along this week-horrors! 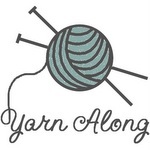 I know my world is a bit off-kilter when I have to miss Yarn Along. I have faith that soon my little part of the world will reach a new equilibrium and everything will be really, really swell and well-rested. Well maybe just really, really swell. Near the end of the year, among the many other activities the school has scheduled, there is the school art show. The kids' art teacher does a fabulous job teaching them about art and art techniques. They are very lucky. Every year the teacher staples up hundreds of artworks onto the school walls-hours and hours of work. Every child gets at least one artwork on the wall. It's not at all like the old days when only the "best" gets posted. I usually don't go to the "art opening" itself due to the crowds of children and parents running through the halls. Works are spread around so it can be a challenge to find them. I don't think a crowd would help. So a few days after the opening, I roam the halls in search of their art. It is always a delight. I am so grateful to their teacher for all of the time and effort she puts into their little lives. Group art work in Doran's class. I couldn't tell which part he contributed to this time, but I suppose that's all part of the "groupness". We are very pleased with how far he has come in drawing and expressing himself in poetry and visual art this year. He has worked extremely hard and he gets so much satisfaction from it. Elijah's snowman. Sorry for the fuzz-there was a constant tugging at the skirts. I am not sure which technique they were learning about here (pastels and ? ), but I really liked it. Helena's rooster, cats, owl, and other critters. What favorite pieces of kids' art hang around your house? Have a loverly Thursday! It is rainy and cool. As school is thankfully winding down, I am thinking of the past bumps and accomplishments of the past year. Apparently the end of the school year puts me in a contemplative state. I have been thinking for a long time about simplifying. "Simplify" has become such a catch word lately and a whole consumerist industry seems to have sprung up around the concept, seemingly missing the point. I have been taking the extra out of our environment and lives. It is a slow process, and I don't think the task is ever complete. While getting rid of the complications of stuff and obligations, I have become quite aware of where complications seep into our lives where I had never noticed before. We live in such hyped up times-hyperparenting, hyperschooling, hyperconsumerism, hypercompetition, hyperinvolvement in our children's lives. No wonder anxiety and worry permeate the atmosphere. It's the last week of school, and it seems like that has become a hyped up Event with all kinds of frantic activity in the name of fun. My first-graders have a "special" activity for four out of the last five days of school. I realize that this is done with love and in the name of celebration, but it feels like too much. Today they were told to bring a favorite stuffed animal, a blanket and a couple of favorite books for reading. Tomorrow they are to bring a favorite board game; the next day is a movie day and the last day is a dance party. I won't even go into the logistics of bringing favored stuffies, blankets, books, and games to school. There was much flurry and anxiety on their part and mine as they ran around trying to find the appropriate things to bring. There was concern about losing something or feeling left out if they didn't bring everything that was suggested. That didn't feel fun and even if they have a good time with this event, I am not sure it was worth all of the worry and scampering. Perhaps I am showing my age, but I yearn for the times when the "celebration" of the end of the school year was the treat of ice cream in paper cups with the wooden spoons (splinters be damned) or a simple popsicle melting down my fingers as you tried to eat it before it turned into a syrupy pool at my feet. This happened on the very last day of school and we looked forward to it all week. The was less brouhaha but the moment was still acknowledged; the excitement was still keenly felt. I suppose this is my long-winded way of saying that I wish for less of this more is better, faster and sooner is better zeitgeist. For parents, I wish for more calm and confidence and less worry and competitive parenting and schooling. I want to trust that our children will be fine. I want trust to win out over the fear that if we don't do this thing or that, or spend the majority of our time "enriching" and micromanaging their little lives, that they will still be happy; they will still be fine. PS: For a wonderful discussion about simplicity and parenting, check out the Simplicity Parenting Book Club over at Clean. Thank you all for the feel-better wishes! I do feel much better. I don't know what that was, but it knocked me on my keister! I missed out on some of your comments, but I will reply as soon as I can. Today there won't be too many words, as I have Doran's special education meeting (PPT) in about thirty minutes. We're working on his education plan (IEP) for next year with an eye out for his whole future. I feel like hiding under the covers. It's not the most confidence building exercise. This time of year just amplifies all of my worries about his future. They just flood into my brain. So with that in mind, we'll look at flowers today. It's peony season ~ so fleeting and pretty. It never lasts long enough for me so I cherish them while they last. Enjoy. So I am off. I hope you had a wonderful holiday yesterday and that you have a great Tuesday! I need Cape Cod today or something like it. I'll take a pond at this point. This morning was one of those mornings when I am left exhausted, wishing school were already over. Tuesdays are now choir rehearsal days for Doran. He loves choir and since there is so little he seems to like enough to participate in, Greg and I gladly encourage choir. There are a few things I think he would love to do but doesn't have the motor coordination or speed in order to participate in a mainstream school band or sports team. He can participate in mainstream choir. He does it very well and most importantly he loves it. It's important enough that I spend once a week really rushing in hopes of to getting the children fed, dressed, snacks and lunches prepared and all of us out of the door by 7:30am on choir days. I can count on one hand how many times that has happened for the whole year of choir. I know many of you conquer this feat daily(and at earlier times) and I am in awe. However, no matter how early I am up, or how early I get the kids up or how much I have prepared the night before, we usually end up late-not too late, but late all the same. It's really easy to get into a self-criticizing spiral about that though I try not to go there. Usually it's one of the following that contributes to the tardiness: someone has a tantrum; someone really messes up a diaper or training underwear at an really inopportune moment; another person can't find what I told him or her to put in his or her backpack the night before; someone falls down the stairs (I'm not joking); the town decides to do major intersection work during rush hour; it goes on and on. This choir morning was pretty unbelievable. Doran had one of his intense sneezing incidents (a lot of children with autism have sensitivities to the environment that cause different atypical and intense physical reactions). I won't go into it due to the gross factor, but it's an unpredictable morning ritual-occurring anytime from the moment he wakes up to when he steps into the school doors. I don't know what happens after that. With so much going on every morning, I can't hover over him with tissues, and he has yet to get the timing of using one on his own so you can imagine how things develop. This is one way autism affects him. We did manage to get out of the house, but then there was a huge traffic jam on the side street that I use to get out of our neighborhood. I;m talking cars hanging out in the middle of the intersection through red and green lights kind of traffic jam. I imagine there was some sort of chaos on the interstate because this rarely happens. I took the long way to school so that we were at least moving and had a chance of getting to school while choir rehearsal was in session. Helena was not pleased with this development. Doran was a good 25 minutes late for rehearsal, but he got there. Luckily the choir director understands that I am working by myself in the mornings. Doran doesn't do too well waiting for things to start anyway. It's usually much better when he can go right into something and start. It works out but I still have nagging guilt. So this morning I am left with a need for Cape Cod. Maybe you are too after reading this. ;-) Thanks for your patience and for coming along for the school morning ride. I'm happy to hear your stories too. Feel free to share any morning or day challenges you have had lately. I'm all ears. And now it's time for some soothing pictures. The dunes can get very tall. I find them fascinating. Tasty and inexpensive seafood can be found here. Ah better now. This makes me feel like I can go anywhere and do anything. Happy Tuesday! In honor of the First Day of School, Helena organized a Stuffed Animal Pajama Party. As a family, we celebrate milestones, ordinary days, big things and little things. I was so excited to see Helena planning a celebration independent of any suggestion from me. I hadn't expected this. In fact, when she was talking about it during our school walk-through a couple of days ago, I thought it was something her teacher had arranged for the class. In all of the heat, hubbub and general confusion, I didn't realize the party was Helena's idea. She is such a force that girl. Elijah got busy dressing Eden up for the party. This was part of a bunny costume that Helena wore in her first ever dance recital. I think that tail has seen better days. Unfortunately I missed the party as I had made arrangements to paint with my friend Julie. I heard it was great fun and I enjoyed seeing the little bits and remains of their celebration. Yes, the sign says "Stuft Anumai Potty". Is there anything better than a six year old's spelling? Besides the pajama party itself, the kids also had a circus and a dance party. Apparently all of the festivities tired out poor Eden. What a party. I hope you all have a wonderful weekend! Thanks for stopping by. Ah, we made it through the first day of school! It was fun to see old friends and faces! The children looked so snazzy in the back to school outfits they chose. I got a kick out of seeing all of the new shoes on every child's feet. Soon enough they will be scuffed, worn and outgrown. Even though everyone was up early,and backpacks were packed the night before, there was still a little hustle and bustle at the last minute. I think that is just the way it is getting four children out of the door before 8:10 in the morning. This year I have resolved to have snacks and lunches assembled as much as possible the night before. Nobody likes a soggy sandwich so some things have to wait until morning. Boo! As we get a little more settled, I will have the kiddos help. Preparing their clothes the night before is also a time-saver. If I am not careful, we will be truly organized. The sun was a little bright. It was already broiling before 9 am. I didn't get through the first day without forgetting something. A few weeks back, Helena and Elijah received letters from their teachers telling them (me) what they needed to bring to school on the first day. Well I thought I was so smart. I got their supplies (I took each of the three children separately to shop for supplies) and I purchased their class donation items. We were all set or so I thought. I had completely forgotten that I was supposed to take a picture of them reading their favorite books. Elijah and Helena were to bring the photos and the books with them on the first day of school. I conveniently remembered this assignment when I saw one of their classmates walking around with Harry the Dirty Dog (I love that book). So guess what we did after school . This girl absolutely loves her big brother. Luckily no one was traumatized by my forgetfulness. Elijah and Helena had a fun day. They really like their teachers and they were very proud of themselves. Doran managed all of the new faces, routines, and environments exceptionally well. He loves his new aide Jenny. He was able to stay in his mainstream classroom all day. Usually he would be overwhelmed by all of the abstract conversation and instruction, have 'behaviors', and consquently have to leave the classroom. Any parent of a child with autism will tell you that when the behaviors happen, you can't really hang out with everyone else. It's a hard balance emotionally. On the one hand, the child has to be comfortable and if leaving is what does it then that is was has to be. I feel badly for Doran when all of the noise, lights, movements and talking overwhelm him. I have heard it can be painful. No one wants their child to be in pain. On the other hand I think many parents, including myself, wish that their children felt better in these situations that seem so manageable and routine for everyone else. Yesterday, Doran managed the intense sensory input beautifully and had a good time. I am so happy he was comfortable and content! I hope this means that he is feeling better in this world of ours that can be so unavoidably pushy. Here's to a shiny new school year! It's the night before school and preparations are still in full swing. I spent the day doing the final loads of wash, watching the children pick out their first-day-of-school outfits, planning school snacks and lunches,and purchasing the requisite ingredients. So now we have met the new teachers, and the new supplies are ready. I have ironed clothes, assembled snacks and lunches, tucked nervous and excited little ones in bed. It's almost time.